Transportation officials kicked off construction on the high-profile multimodal bridge last week with a groundbreaking in Tulsa, Oklahoma. The project is the second-largest single project ever awarded by the Oklahoma Department of Transportation. (The first was the Interstate 244 Inner Dispersal Loop reconstruction project, which was also designed in part by Garver.) 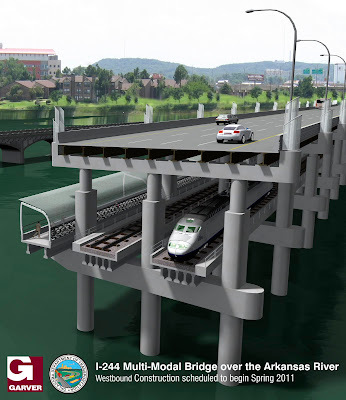 The new bridge will be a two-level structure that combines highway, rail, and pedestrian traffic, and the estimated total construction cost is $78 million. 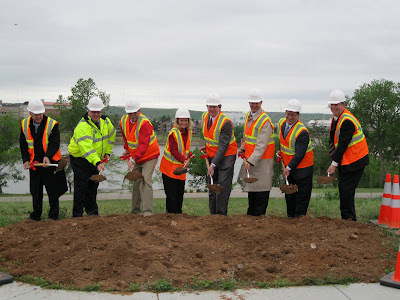 During the ceremony, Ivan Marrero, assistant division administrator with the Federal Highway Administration, said he appreciated Garver's design work and dedication to completing the work in rapid fashion. 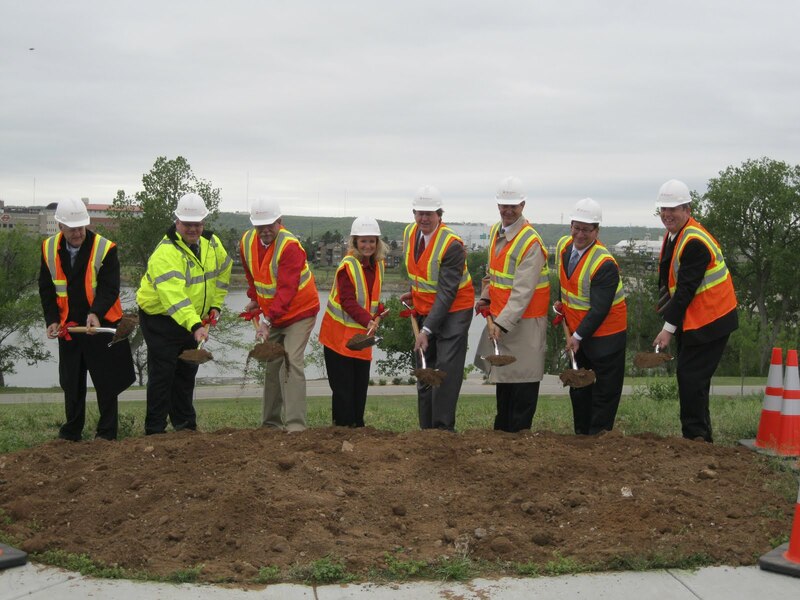 Garver's design team worked long hours and weekends to complete the design in exactly one year, from the day the Transportation Investment Generating Economic Recovery (TIGER) grant was awarded to the day the winning construction bid was approved. Garver's design responsibilities included preparing conceptual design plans, preliminary engineering plans, and final design plans.